Want a beautiful life? Ask beautiful questions. More people than ever are enjoying the fruits of technological and economic progress, but social signs suggest our existential roots are unhealthy and need to be better cared for. The increasing challenges with mental health, loneliness and the environment, point to a society that is struggling to live peacefully with itself. Concerns over our environment, the polarised political climate and the social burdens associated with maintaining perpetual economic growth are obvious existential stressors on people day-to-day. We believe though that the ultimate cause of confusion lies in the larger problem we are accustomed to ignoring - understanding the inherent nature, meaning and purpose of our life experience. There is an urgent need to better comprehend what we are experiencing at a perceptual and ontological level and to discover how, through personal introspection, we can liberate our sense of self and find clarity on how to live fulfilling lives. Answering this call requires taking ownership of both our intention and attention; and applying these to begin with, to close-up self-inquiry. To arrive at this internal frontier is to begin the interior conversation that ultimately makes sense of all the other conversations in life, be they at work, with a partner or with wider society. Communicating effectively in this internal space requires cultivating both our thinking, analytical capability and more importantly, our 'felt' sense of perception. It is quite often the case though that these two faculties have not been equally nurtured or used together, with a typical bias towards excessive thinking. An over-focus in life on thinking and rationality though not only creates an excessive load on the mind but stifles the intuited, imagined and felt dimension of our existence. It is here, in the space between one thought and the next, that real solace is found and often reconciliation with the most intimate and immediate of personal challenges. What is needed are tools and resources to foster greater emotional intelligence and spiritual insight that help lead people to a more coherent and harmonious state of being. Through poetry, mythology, ancient and contemporary spiritual wisdom, there are stories, archetypes and practices that serve as reference points for this knowledge. Where there is resonance between our own lived experience and these outer narratives, we experience a symmetry of the internal and external that helps clarify and express a formerly unexpressed inner wisdom. This process of birthing insight into consciousness is our lived wisdom, our inner truth. Embarking on this journey of internal inquiry sooner or later uncovers uncomfortable ground. As we grow up, mature and socialize into the collective, particularly through childhood, we tend to edit off aspects of ourselves to fit in. These disowned, avoided and unloved elements are concealed in our shadow self. As we mature, these shadow aspects trap our life force and cause suffering whilst they remain unintegrated with the rest of our being. There are many neglected areas of our psyche, grief is one of the most prevalent, and as we abandon paying close attention to these areas we can create great suffering for ourselves. A large part of the journey of self-knowledge is to engage this shadow material, illuminate it and process through it until fully integrated. Bringing all of this together, Inner Truth looks at the central questions of human life, what does it mean to be human, and how can we be more fully alive? We explore answers to these questions through ancient and contemporary spiritual wisdom along with insights from the fields of psychology, philosophy and mythology. We also look at the role of shamanism, meditation and reconnection with nature as tributaries into the inner self, the wellspring of our source of knowledge. We believe in the power of the beautiful question to initiate the internal conversation that ultimately leads to the truth as it relates to each individual.  Starting as a weekly podcast, Inner Truth is a new spiritual media company that aims to become a trusted source of spiritual wisdom through the sharing of insights from the leading teachers and visionaries of our time. From here we plan to become a full-scale spiritual media platform, embracing audio, video, courses and events, to help as many people as possible cultivate their emotional and spiritual health for a better, brighter future.